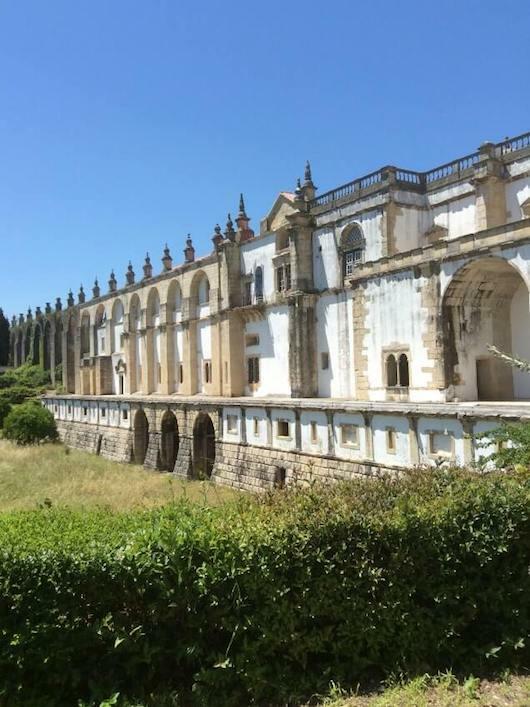 PortugalHolidays4u.com - Why visit Tomar in Central Portugal? 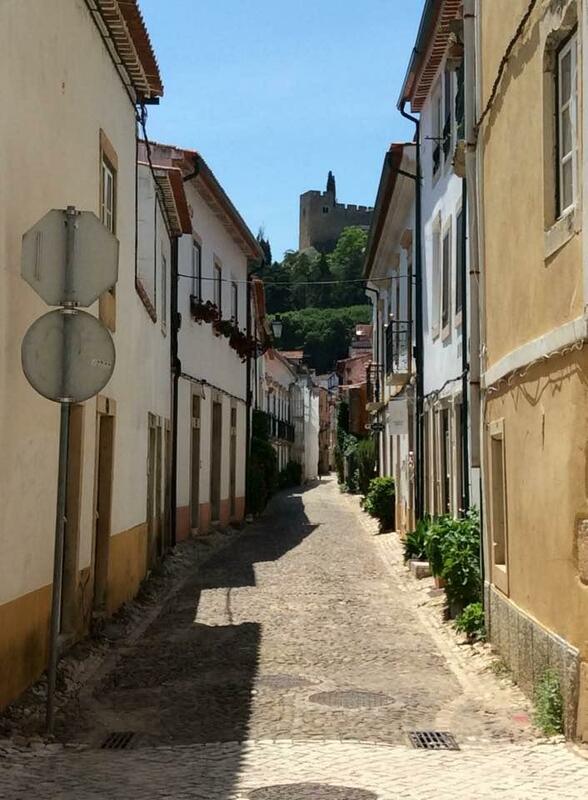 Where is Tomar in Central Portugal? Central Portugal is one of the seven regions of Portugal, located between Lisbon and Porto. With a varied landscape, from the mountains of Serra da Estrela the highest mountain range in Continental Portugal (did you know you could actually ski here, yes ski slopes in Portugal, but that is for anther post) through to the coast with sandy beaches or rugged coves. There are many villages and towns within this region worthy of a visit, but for us, one that really stood out is Tomar. 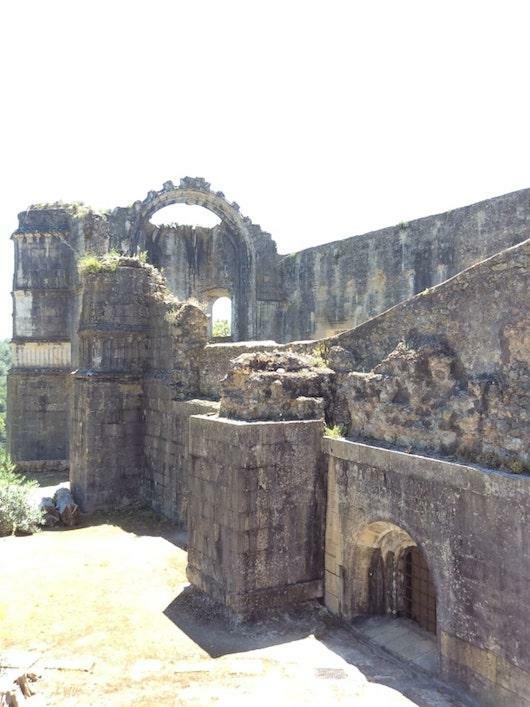 Tomar is located in the Santarem district of Portugal and is approx. 130 kilometres from Lisbon airport and 200 kilometres from Porto. So is an easy trip for those arriving in Lisbon or Porto. There is a train station with direct trains to Lisbon. The reasons to visit are varied and numerous from the food, the restaurants, the castles, the cobbled streets to the sheer ambience of the town. But let’s look at each individually. 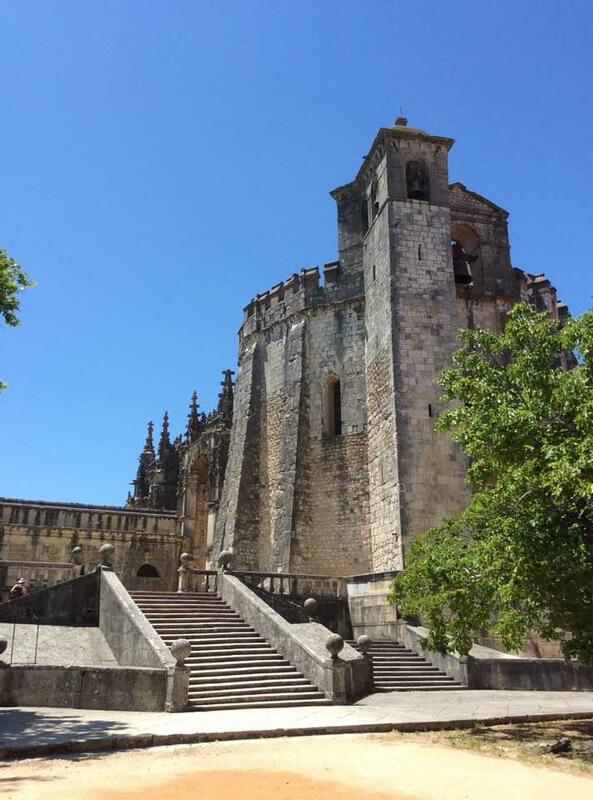 There are many different restaurants and cafes to choose from in Tomar, serving traditional Portuguese food, from the very cheap starting at 5.50 euros for the dish of the day through to the more refined restaurants serving excellent food with delicious wine. Take your time to choose and look in the little streets as well as the main areas. The Antiqua Taverna in the main town square. 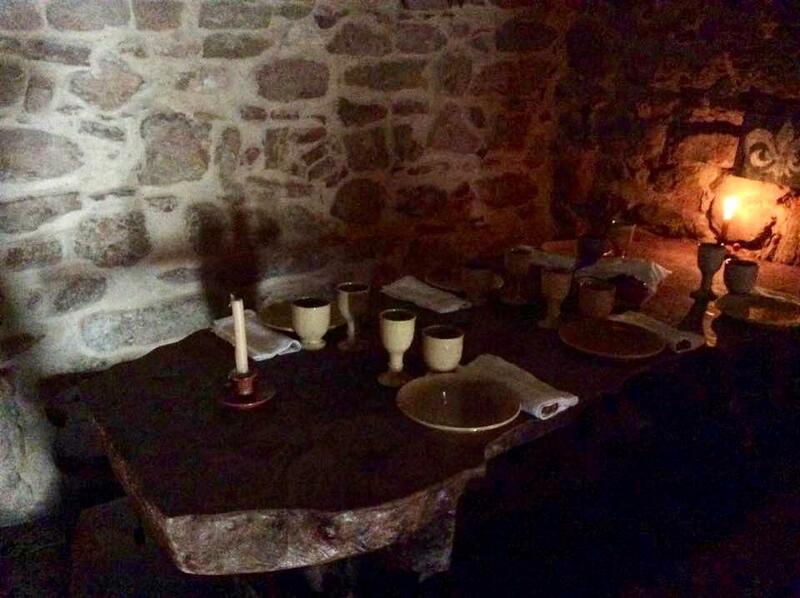 This is a medieval themed restaurant which sells food based on what was available at the time, with the staff dressed in authentic costumes. 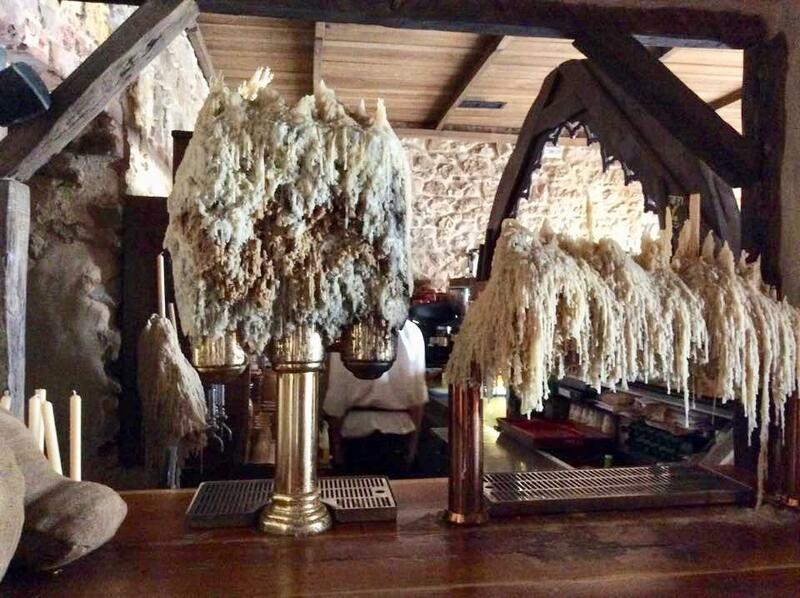 Even if you don’t eat here, you must go in to experience the building with the aged old candles that have dripped down, the toilets (yes the toilets are an experience worth visiting for!) even the plates and glasses are authentic. A big plus for this restaurant was that they will change their vegetarian option to vegan on request. Prices range from approx. 11 – 17 euros for a main course. There are a selection of wines, sangria and traditional beers available. 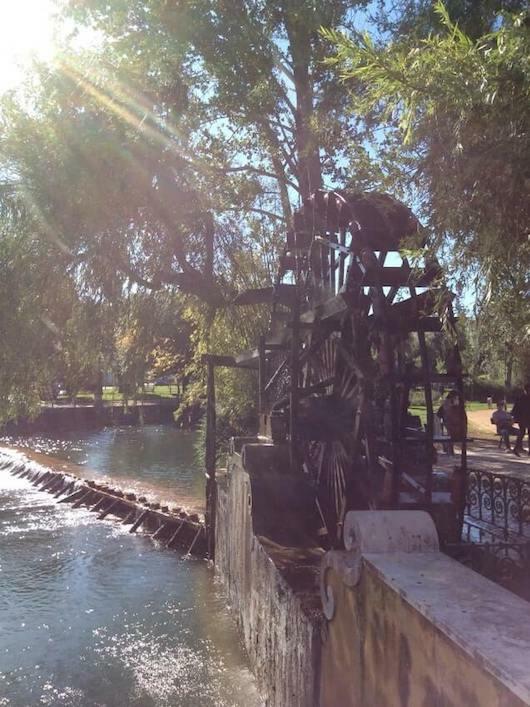 Orquestra de Sabores is a café by the river, it is the complete opposite to the Taverna, light, airy and modern, selling more snacks and ice cream than meals, but it is the ideal place to sit and enjoy a glass of wine over looking the river, town and castle. You are right on the waters edge and there is a children’s play park next to it, so great for families. But it does get very busy in summer. I could actually write another 5 posts about the food here, but there is definitely no shortage of places to eat, to suit every taste and price range. The main town square (in the old town) is one of the first sites to visit, the town square is surrounded by quaint cobbled streets with little shops, cafes and restaurants, if you wander along any of these you will no doubt end up in the town square, this part of Tomar is not very big so it is not easy to get lost. 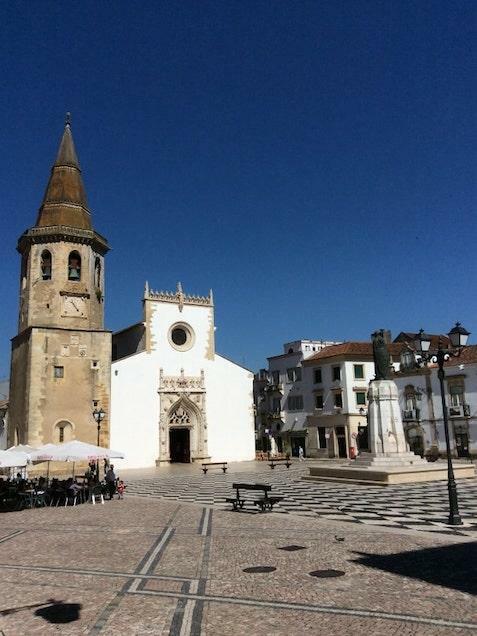 Once in the town square you will see The Church of Saint John the Baptist (Igreja de São João Baptista). This is a 15th century catholic church, entrance is free and it can be a refreshingly cool place to visit on a hot sunny day. On the opposite side of the town square is the municipality, which is 17th century and behind this on the top of the Hill is the Convento do Cristo. All around the square are cafés with outdoor seating and large parasols, many of these sell traditional Portuguese pastries and cakes. From the town square is the main street leading to the river Nabão. You will notice the beautiful buildings which have all retained the elegance of the era. Even the floors of the roads and footpaths are beautiful to look at with the symbols and patterns in the cobbles. You can also hire a tuc tuc in the town square to take you on a tour of all the sites. The convent and castle were originally a Roman Catholic convent built in the 12th century and a Templar stronghold, in the 14th century the order were dissolved and became the knights of the order of Christ and was listed as a UNESCO world heritage site in 1983. You can walk from the town to the castle, but you will need to walk along the road, we tried going through the gardens and there is no entrance. It is a steep hill, so may be better to drive or use the tuc tuc. There is a car park at the entrance, but fees are payable, so ensure you have coins on you. It is one of the most remarkable buildings we have ever visited and entrance to the grounds is free, though there is a charge to enter inside the building. The walk around the outside of the building is spectacular as are the views. You are also able to walk along the castle walls. The Synagogue of Tomar is an outstanding example of the medieval synagogues in Portugal, located in a small side street close to the town square. It is currently a museum but has had many uses in the past, even being used as jail in the 16th century. 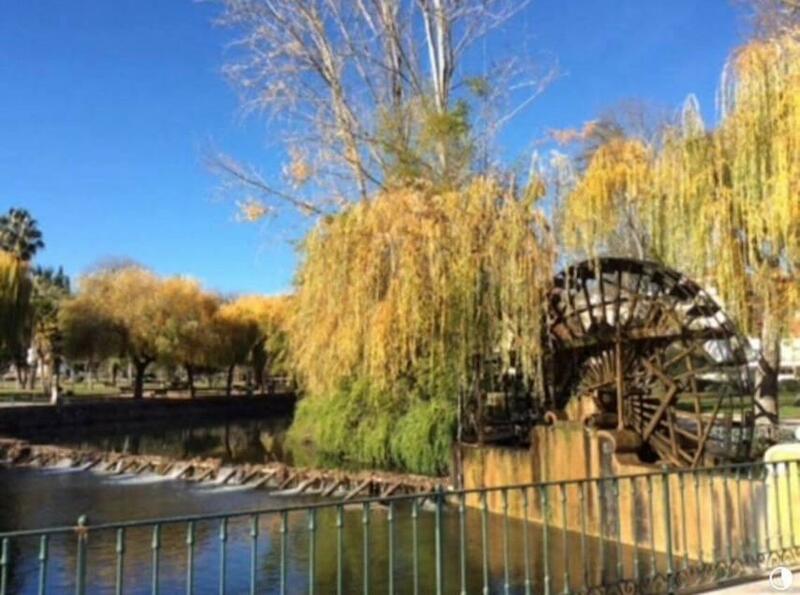 The RiverNabão passes through Tomar, this was used for agriculture and the factories that made Tomar prosper in the past, now it is used more for enjoyment and activities. In 2018 there was a wakeboard tournament here. But most often it is kayaks and the variety of birds that use the river. 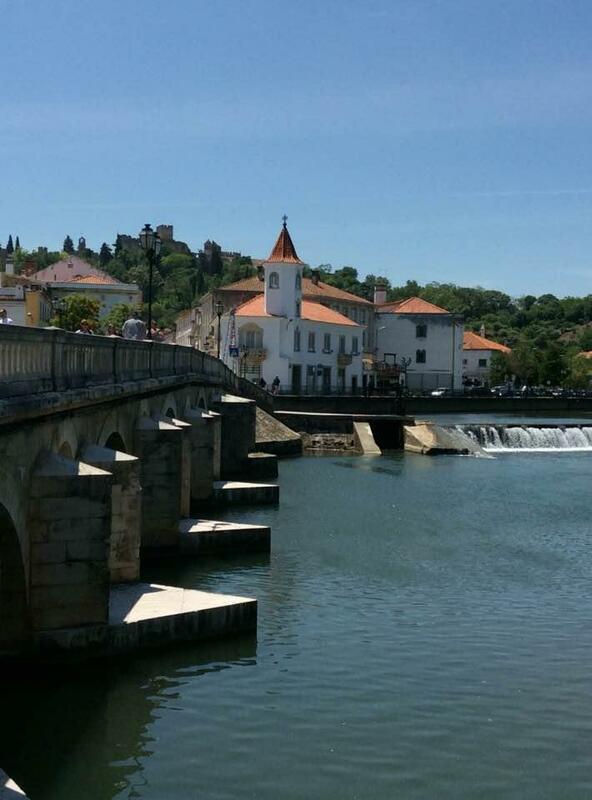 The Aqueduto dos Pegões Altos is just outside of Tomar and stretches for approx. 6 kms, the highest part reaching almost 30 metres. 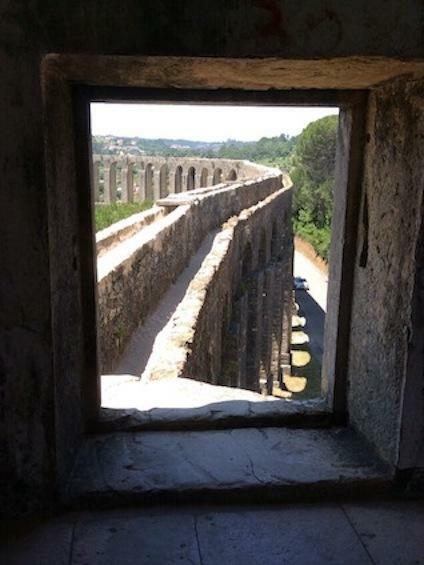 The road winds past the aqueduct and in one part goes underneath two of the arches. There is a car park near the steps to access the aqueduct and both car park and entrance are free of charge. As you climb the steps, be careful, they are stone and very uneven. 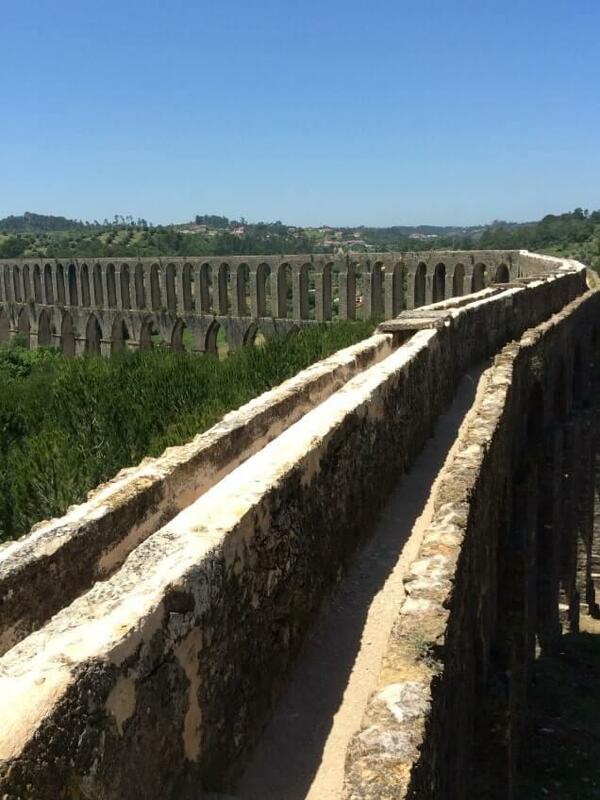 The aqueduct was built in the 16th century and was used to bring water to the convent of Christ. As you climb the steps and and walk into the stone bathing house the views are spectacular. 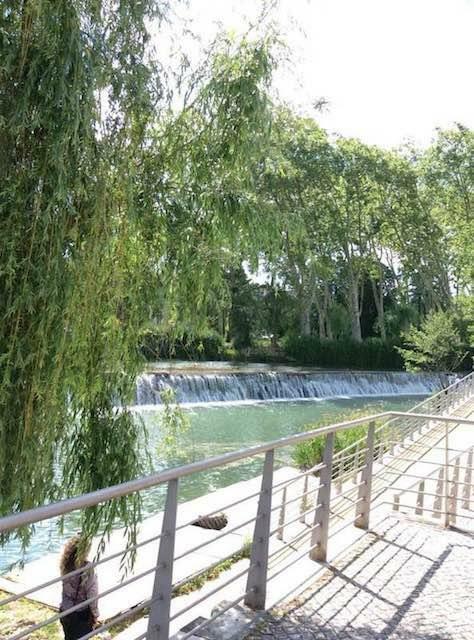 You are able to walk along the aqueduct, but there are no safety barriers. Stepping out though is definitely an experience to behold, as these are some of the best views of the area. Again if you do not want to drive, the tuc tuc from the town centre will bring you here as part of a tour. There are a range of shops in the historic old town selling all you could imagine, these buildings are stunning to look at and it makes for a great time wandering around them, even for a complete shopping hater like me. But if you want a bigger choice of shops then cross the river in to the new town and you will find them there along with a selection of supermarkets. There is also a weekly outdoor market selling fresh food and everything else you can imagine. This has been a whistle stop tour of Tomar and there are many other monuments to see and visit. There are so many reasons to visit Tomar, but if you want a little more, there are a number of festivals held throughout the year, from the orange festival to the soup festival, through to the music festivals and beer festival.